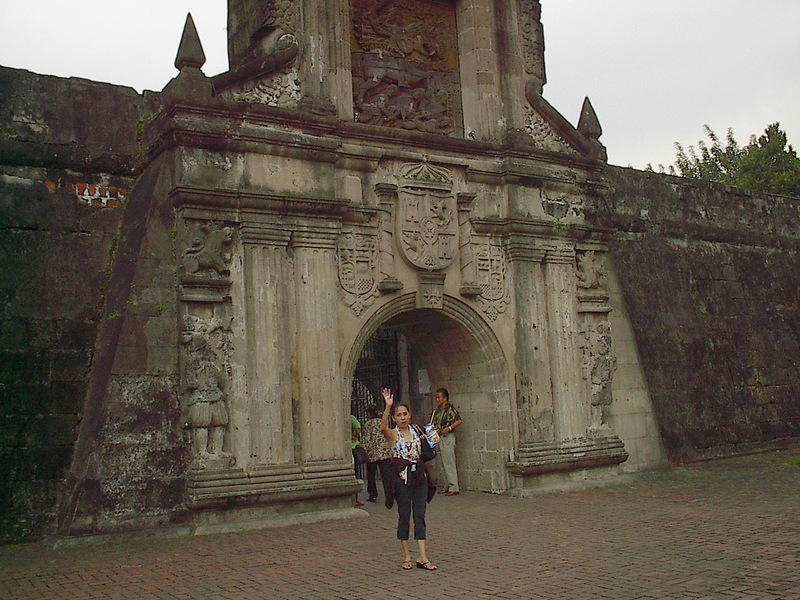 Fort Santiago, in the medieval Spanish walled enclave of Intramuros, was where political prisoners through the ages, from Spanish to Japanese occupation, were held, tortured and sometimes executed. The fort is shielded by 22-meter-high walls, with a thickness of 8 meters and an entrance measuring 40 meters high. It is located at the mouth of the Pasig River and it was once the premier defense fortress of the Spanish Government in the Philippines. During World War II it was captured by the Japanese, and sustained heavy damage from American & Filipino bombs during the Battle of Manila in February 1945. It was later restored by the Intramuros Administration during the 1980s. Today the fort serves as a museum which houses well-preserved legacies of the Spanish government, Jose Rizal (which is called the Plaza de Armas), Rizal Shrine, and the prison dungeons for criminals used by the Spanish officials. José Rizal, the country's national hero, was imprisoned here before his execution in 1896.